A consultation is expected soon on the next Cross Country franchise - perhaps a consultation launch for / in May (2018), with 3 months for the process to run - so that would be inputs by about the end of July. ITTs out in early autumn, decision early in 2019, new franchise starts end of 2019. Will the Cardiff to Nottingham service still go though to Nottingham or will Birmingham to Nottingham become part of the Midlands Engine stuff? What consideration for service calls at Bridgwater, Weston-super-mare (or Worle for Weston? ), Gloucester, Ashchurch and Worcester Parkway? Cardiff to Birmingham wouldn’t have much impact as the majority of passengers only travel between there. It would also make the trolly system easier and the capacity management would become a lot easier. Weston and Gloucester calls wouldn’t make them happy but Gloucester’s MP has tried lots of options to get mainline services to call at Gloucester, so it would have to be considered. Weston is a bit too far out (in my opinion) to expect express services to call at but again would be useful. As a passenger myself it isn’t to annoying to go to Cheltenham to connect, however some people don’t like changing and peak GWR services to Bristol are often packed. We are sorry to announce that the .. Great Western Railway service is delayed. Do note it could go through Birmingham and beyond the Midlands - hence CROSS County - new or strengthened service, or replacing a service in another franchise. Cardiff to York was mentioned to me ... or to Hull, or Cleethorpes, or link it on to the Cambridge service? "They" - operators - will be happy if they're making money out of what they're told to do. They could be unthrilled at contention for paths over the single track loop around Weston though. And as soon as you start adding in calls between Bristol and Taunton you start decanting passengers off the local service. I suspect that leaving the current North East to Plymouth services alone in the area, and calling a fully extended Manchester to Bristol additionally at Bridgwater on its way to Exeter might make sense. I agree that the Weston loop should be avoided but I would support a stop at Worle. The thing that usually strikes me when travelling on X Country services is that they don't seem to have enough rolling stock, especially at peak times. Surely this aught to be a legitimate point of discussion regarding whomsoever takes the franchise on. More HSTs, modified, of course, or a fleet of new build units? But perhaps I am being a little too optimistic.. Anybody on the Forum got any ideas? Agreed, plus the stock that they have (the Voyagers) have relatively few seats. They must be the most inefficient stock on the network in terms of seats per vehicle. A four car voyagers manages to seat very few more passengers than a 2 car class 158, and not in significantly greater comfort either. This makes the XC service look superficially more impressive than it actually is. People think 4 cars isn't too bad but by the time you discount the first class coach you are left with only 3 cars, and one of those is one third cab and another is one third "space were the shop used to be". Plenty of space is also lost by having all the toilets accessible including those not accessible from the wheelchair space. This inefficiency must all make the service incredibly expensive to run. Intercity costs with regional railways capacity. I think that the short term plan is to make the 5 car sets into 4 cars (by using some spare cabs from West Coast) and make a little bit more use of their existing HSTs, so that almost all services will be 4+4 voyagers or HSTs. Longer term the solution must be better stock. 5 car IEP sets would have almost double the seats of a 4 car Voyager, and would surely cost less than double the price? Top of the agenda for me is much more capacity - how that is achieved is a matter for the bidders of course, but new Bi-Mode (or Tri-mode) trains would look to me to be the sensible option, rather than rebuilding any more HST's, given the percentage of their routes that are either under the wires or on 3rd rail. By all means keep the Voyagers, which are only half life after all, but run many more of them in multiple or cascade them to the routes currently operated by their 170s which would give a speed and capacity increase for those units which would be better used on other franchisee route. I am not sure that a national rail franchise, like Cross Country should have to routinely make up for the failings of local rail infrastructure. 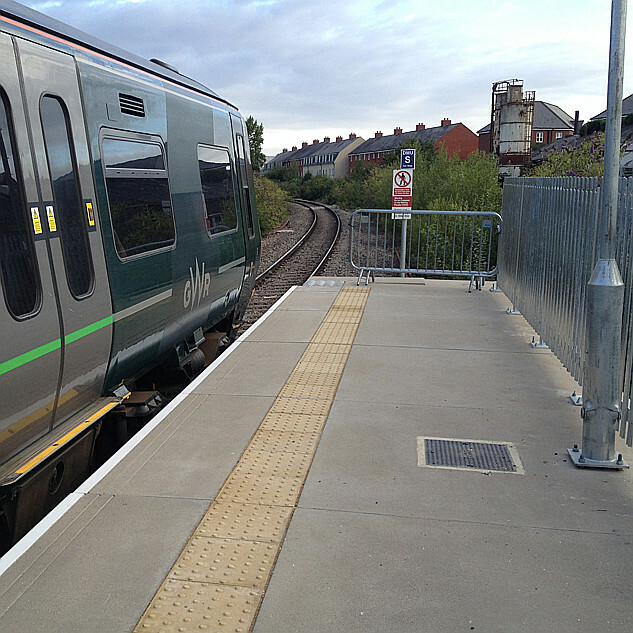 For example, Cross Country trains are routinely standing only between Bristol Temple Meads and Bristol Parkway. Why?, because GWR routinely cancel local trains, or run them short. Surely, the next GWR contract should have an hourly, or twice hourly service from Birmingham to Exeter/Plymouth? Certainly Crosscountry's biggest problem is capacity. The Voyagers are too small (for all the abuse they get, if they were long enough most complaints would fall away - few people seem to complain about West Coast services formed of 2 X 5 car Voyagers) for the work they currently do. A 4 car Voyager has 164 standard class seats and 36 first class. In comparison, a 3-car class 158 may have over 200 seats (depending on which one it is) There really seems no point adding extra stops to services which are already overcrowded. In addition, timings are important. Crosscountry have to make sure they are at major junctions such as Bristol TM and Birmingham NS on time or they lose their path, which can cause significant delays. Add in extra stops and the risk of losing paths is greater. Theoretically you could try to stop HSTs only - but they accelerate slower and the services they are scheduled to work can change at times of disruption, so I can't really see how that would work. Exeter/Bristol-Manchester services generally seem to be a bit quieter than Cornwall-Edinburgh services, but the plan for an hourly service has been dropped due to opposition from Torbay and Aberdeen to Crosscountry's planned changes - instead there are going to be extra afternoon trains in peak hours. XC have obtained the only 2 spare cabs West Coast have and are planning to make (if they haven't already) 3 4-car trains instead of 2 5 car trains. Not a huge capacity increase given the limited seating in the end coaches but better than nothing. It does also mean one of the units will have no Coach D with the luggage and bike spaces. I think they're also going to have 4 of their 5 HSTs in service per day rather than 3 on Fridays, Sundays and Mondays and 2 on other days as at the moment. There's also a plan to allocate longer trains to the most needy services - whilst HSTs and double Voyagers are I think allocated on this basis, I'm not sure how much planning there is over where the 5 car Voyagers go. Weston-super-mare (or Worle for Weston) - Weston requires careful pathing due to the single line off the main line, adding time. XC do seem to serve it with most Manchester services which work south of Bristol. Worle isn't very central so I doubt it would be too popular for those going to Weston. Ashchurch - IMO Cardiff - Nottingham trains should stop here more often given Tewkesbury is nearby. Worcester Parkway - I understand Cardiff - Nottingham trains will be stopping here. See how this works and possibly add Bristol-Manchester services if it proves popular. Crosscountry can't serve everywhere though. If you start adding lots of extra stops even more places will demand services. I'm sure there are people living near Ivybridge, Teignmouth, Dawlish, Filton Abbey Wood, Bromsgrove, University, Tamworth, Burton-on-Trent, Rotherham Central (on a loop off the Sheffield-Wakefield line), Thirsk, Northallerton, Chester-Le-Street and Morpeth who think their stations deserve an hourly stop on the SW-NE services, but if you tried to add all those stations it would probably add an hour to the journey and be a pathing nightmare. A balance has to be struck somewhere and until Crosscountry services actually have sufficient capacity I don't see much point in trying to add lots of extra stops, at least to the longer services. The problem with Cross Country is when they planned and launched Operation Princess no one thought to plan for increased patronage. A former neighbour of mine regularly used to travel regularly to Birmingham and he always drove. He said that if he missed a train at Brum he had an hour to wait during which time he could be within minutes of being home. When Operation Princess launched that hour wait was cut to half an hour and so he could occupy his time on the train expanding notes from his meetings, noting ideas to resolving issues and other things business travellers do on a train journey. He also found he had more time to bond with his children UNTIL more people found out the same thing and overcrowding issues came to the fore and he reverted to using his car and thus abandoning the railway. The benefit of Worle is the large car park close to the M5. It is easier for the wider area to park there and get a direct rain North, than to catch a local and change at BTM. Driving into Bristol to catch the train is a nightmare. 1. Is it about what Cross Country want to run, or is it about what the public and the economy want and need? 2. Is it about medium and long distance journeys that are not on the spokes of a wheel centred in London, or about more local journeys? Should it be about both where the economics of a route don't support both express and all-station trains? 3. On a very long distance service, how do you get capacity right when there's likely to be very busy and very quiet sections? 4. Do you want to compete with air travel on price and speed on the very long journeys, or be much more a series of linked regional services? 5. Can you comb in Cross Country trains with trains run by other operators to make an overall clockface service on lines? 6. Should you transfer other long distance services that avoid London to the Cross Country franchise. Brighton to Worcester, for example. Or can you link together other routes in a service that provides current service and new through opportunities? 7. Should the Cross Country franchise exist, or services be run by existing regional franchises with depot agreements with distant TOCs? 9. Should you produce combined timetables for the public showing all trains on a line in all publications? 10. How far ahead do you look to meet demand and how much do you want to encourage that demand to grow? 11. Do you want to limit trains to profitable hours of provide a service that helps the served locations economically, and how do you cross-fund that? 12. Do you provide catering on your trains, and if so what and how? Do you provide first class, and if so what does it offer extra? 13. How do you ensure that a long distance operator of what will be the secondary service at most of its major stations engages with the local communities at the places it serves? Do you want it to engage in such a way? 14. What else should I be asking? 3. In them 'olden days' trains used to join and split en-route so that capacity was matched to demand. Plymouth and Worcester Shrub Hill are two stations on our area that come to mind that followed that practice. I know its sometimes done at Bristol TM on Cross Country, but it seems a skill set that the modern railway doesn't seem to like very much. It very much helps with rolling stock allocation as a reduced number of coaches is required to provide the additional capacity needed, where its needed. It does also mean one of the units will have no Coach D with the luggage and bike spaces. This isn't the case, a coach was swapped with Virgin. This was a coach with a shop from the Virgin set which previously had two shops. This coach was then converted to have the luggage and bike spaces as on the rest of the XC voyager fleet. The additional vehicles entered service a few months ago, the result being that 1V46 0640 York-Plymouth and 1S53 1325 Plymouth-Edinburgh (As far as Newcastle) are now double voyager sets, when they are not an HST. When they are an HST other services are strengthened instead.